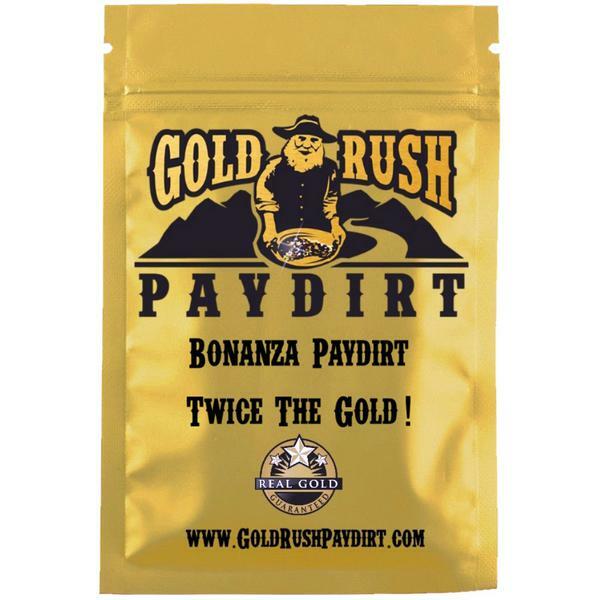 The best gold-bearing dirt is called "Bonanza" because it's not your average paydirt. It hails from the Copper River in Alaska and is guaranteed to contain MORE gold — you definitely won't be disappointed! Gold is found throughout the Copper River, must abundantly in Slope Creek, Mineral Creek, and Eagle Creek. Below the mouth of Mineral Creek, the Copper River has carved a small canyon 35 feet deep to an old valley floor, which is another location on this mightly waterway from which excellent gold has been recovered. This is a 2.5 pound bag. Complete panning instructions included. Shipped via Priority Mail. Want more than one bag? Add additional bags to your order by entering the quantity you desire.